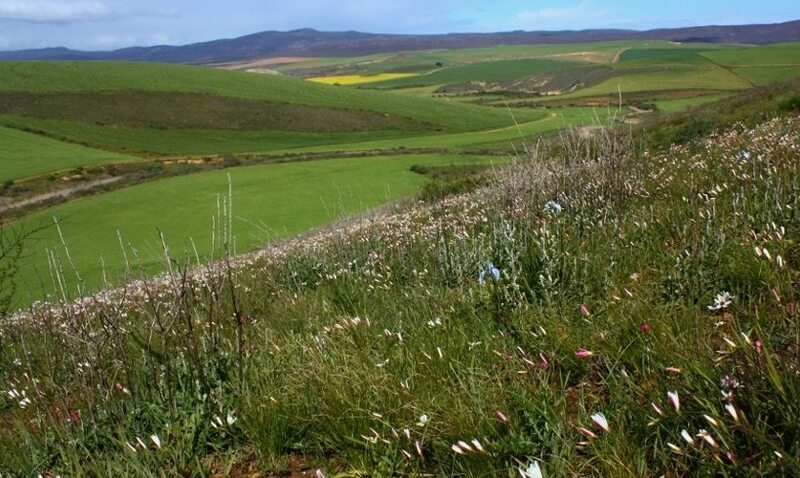 The survival of Renosterveld as a functioning and healthy ecosystem is entirely dependent on how it is managed in future. Because so much has been fragmented (broken up into little pieces), appropriate management has become even more critical. 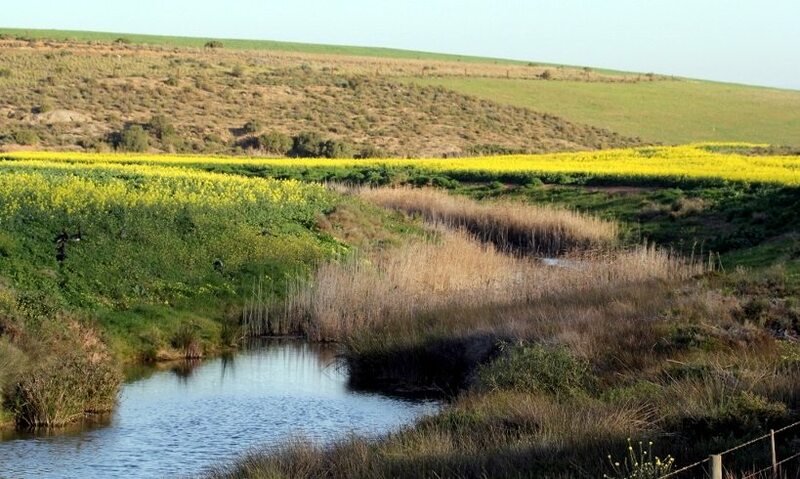 Here we provide a brief summary of the most important management “do’s and do not’s” in order to assist landowners and conservation managers with managing their Renosterveld habitats. The following is a summary of Renosterveld management guidelines. These are guidelines only and it is understood that changing management regimes is not always immediately practical and affordable. However, if one manages the veld correctly as much of the time as possible, one is more likely to reap ecosystem services from it than if it is simply neglected. Burn in autumn – This favours palatable grasses and bulbs, while summer burning favours unwanted species such as Renosterbos. Do not burn too frequently – Every 7-12 years or so is probably OK, although we know very little about this, so rather be safe than sorry! Burning frequencies will vary depending on the type of veld and rainfall (with higher rainfall areas being more tolerant of higher burning frequencies). NEVER graze immediately after a fire, but rather rest the veld for a minimum of 18 – 24 months before grazing and then do so only in the late summer months for a short period. Resting allows all species an equal opportunity to rejuvenate after fire and therefore promotes the growth of favourable species such as Rooigras. Grazing too soon after a fire will promote unfavourable species at the expense of favourable ones, causing the veld to be dominated by unwanted plants. Thus, correct management promotes the more favourable species, so that in the long term, grazing quality and quantity is higher. Where possible, avoid feeding animals in the veld, as these areas tend to get excessively trampled and fertilized, which often results in alien grasses, weeds and thistles moving into the area (due to seed coming in with feed, as well as excessive disturbance). 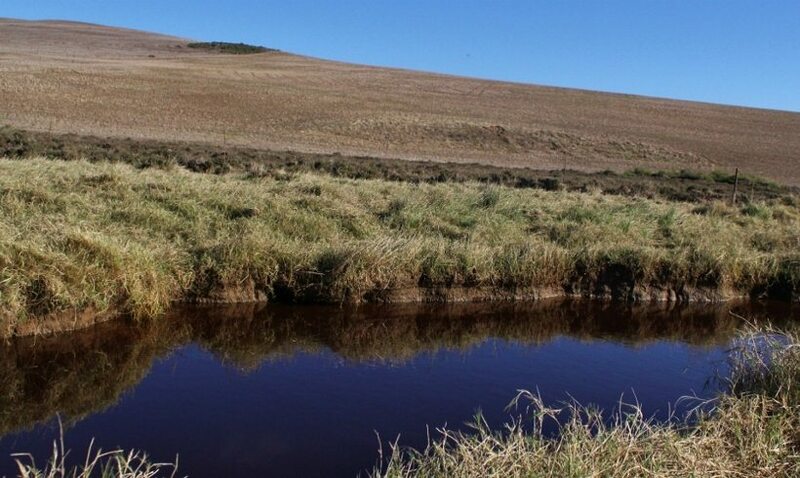 Manage Renosterveld as separate camp – Overgrazing usually arises from the fact that Renosterveld is seldom managed as a separate camp, thus it is subjected to whatever land-use is being applied to the adjacent arable lands. This results in the veld being rested appropriately while adjacent to a grain crop, but often severely overgrazed when it is part of a lucerne camp for several consecutive years. Ideally fragments should be fenced or temporarily fenced (i.e. using electric fencing) in order to facilitate more appropriate grazing regimes. This is often too costly and not practical, but is probably the most effective way of ensuring the long-term viability of Renosterveld. A dominance of Renosterbos is believed to be a sign of either overgrazing, lack of fire (old veld) or both. If the veld is senescent and/or has been overgrazed in the past, sometimes the solution is to burn. But again, the most important thing here is to REST the veld after the burn. 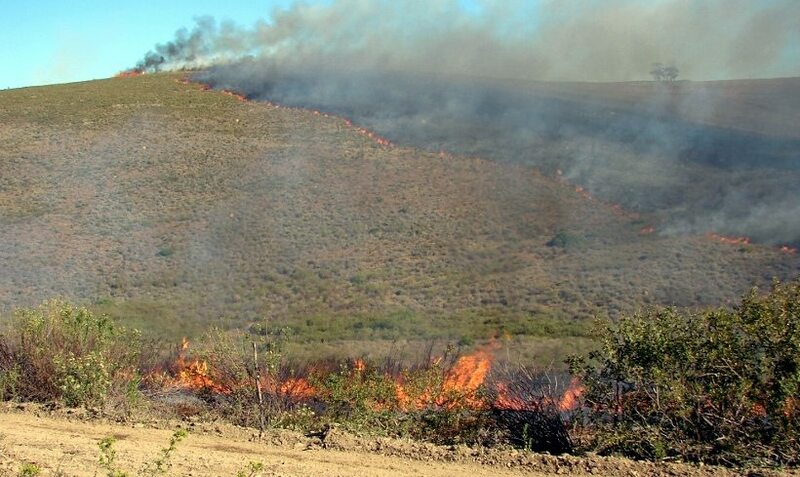 If the veld has been heavily grazed, it is also a good idea to rest it before attempting to burn it, so that it can build up enough of a fuel load for a successful burn. Current knowledge suggests that grazing should only take place between late November and early March, as this promotes bulbs and palatable grasses. 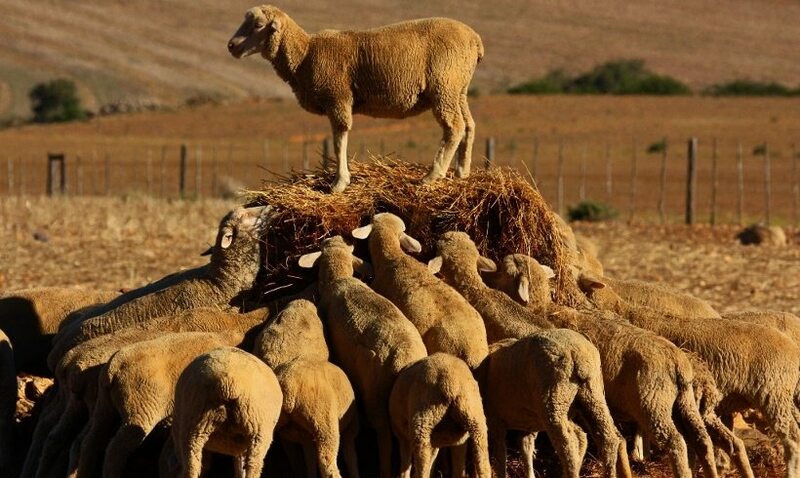 Hence the Golden Rule is: No livestock in the Renosterveld camps during winter and late spring. Rather, use Renosterveld camps as reserve food sources in the summer. Where landowners are left with no choice but to use Renosterveld for grazing, due to for example, a winter drought, it is evident that veld which is managed appropriately the rest of the time will be far more resilient to this once-off exception in grazing regimes than it would be if it were continually grazed throughout the rest of the year. Because area-specific knowledge in this field is lacking, constant monitoring of the veld for signs of overgrazing is essential. Pay attention to what species the animals are targeting and monitor these. If these plants are reduced significantly in size and height and are prevented from flowering, it would be best to remove the livestock and rest the veld until these ‘indicator species’ recover. 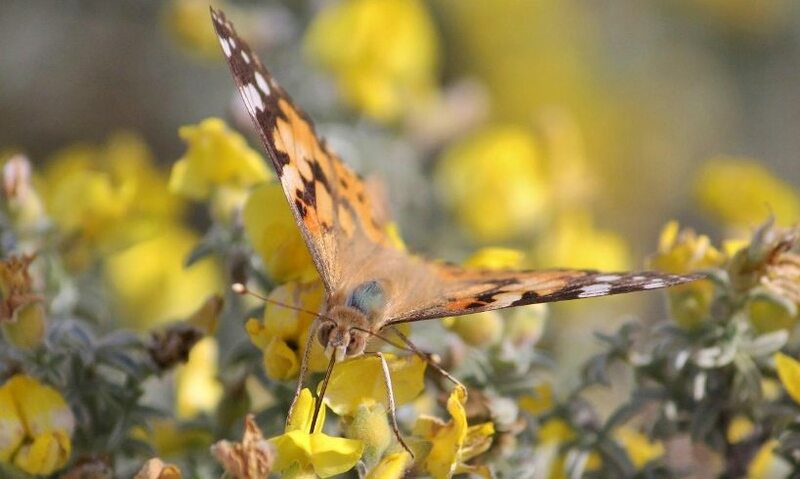 Since Renosterveld has been so fragmented (cut up into small patches), it is subject to a suite of threats to which it would otherwise not have been exposed. For example fertiliser, pesticide and herbicide run-off lead to what are known as edge effects, which can result in invasion by alien grasses, thistles and weeds, a decrease in pollinators and an overall decline in the ecological viability of a patch. In addition to these effects (which can be managed) there may be other factors at play, which to some extent may be beyond our control. Another potential impact of such extreme fragmentation is a phenomenon known as ‘extinction debt.’ This suggests that Renosterveld has not yet displayed all the effects of fragmentation, as these may take longer to manifest than we realise. 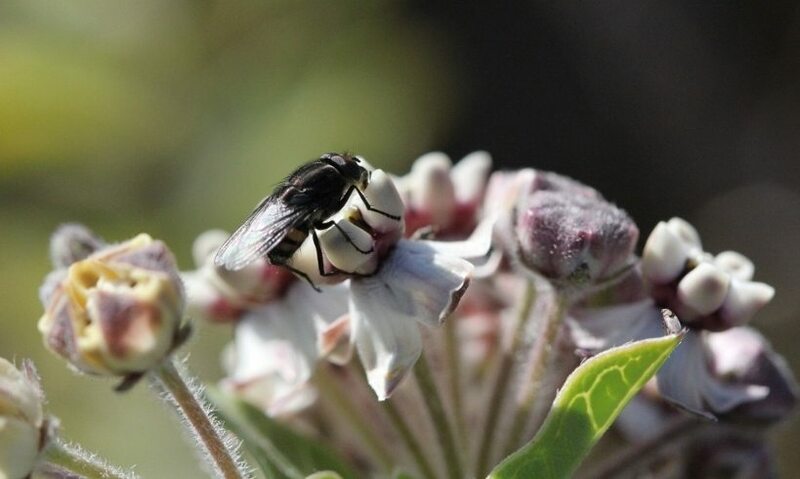 By way of example many important pollinators in Renosterveld may have declined significantly since the removal of natural habitats gathered momentum. Yet today we still see an incredible diversity of plants in the veld and make the assumption that fragmentation has not affected them. 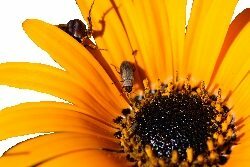 However, on closer inspection, we may find that many species are in fact ‘the living dead,’ in that although they are still present, they are not getting pollinated and are therefore not contributing to any reproductive growth in the system. 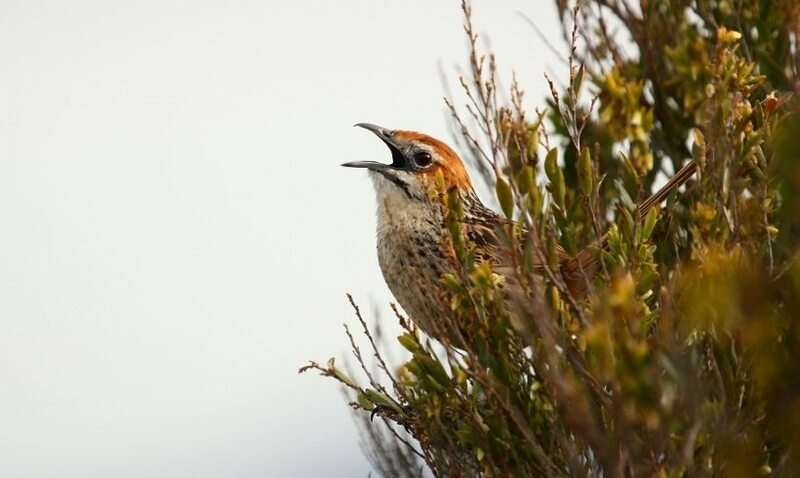 The extinction of critical processes such as poillination will eventually result in the extinction of an increasing number of species as well as the entire veld type as a functioning system. This extinction spiral can potentially be halted through the conservation of extensive areas of remnant Renosterveld, while encouraging corridor formation between isolated fragments (through restoration of old lands and watercourses) to enable animal movement including insects, birds and mammals across the landscape. Conservation of ecological processes is the key to healthy, living landscapes, which include arable lands and natural veld. 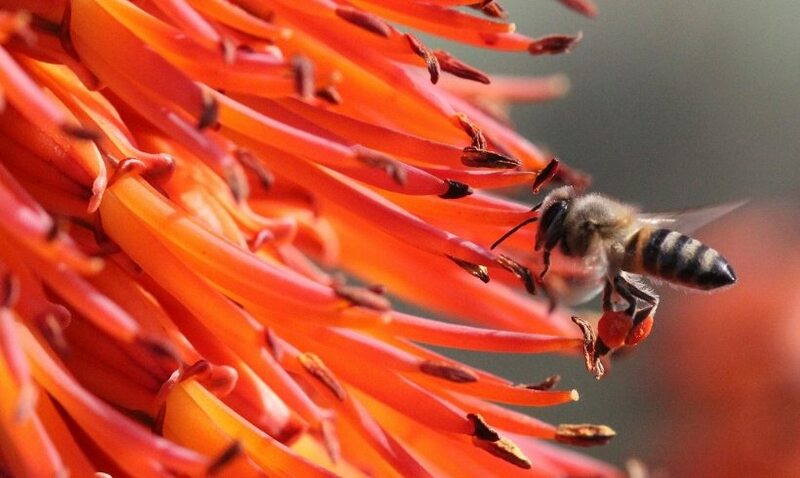 Click HERE to download Renosterveld guidelines in English. Kliek HIER om die Renosterveld Riglyne af te laai in Afrikaans. Click HERE to download info on ploughing of virgin lands. Options for restoration and rehabilitation? Currently, very little is known about how to rehabilitate previously ploughed lands and ‘bring back Renosterveld.’ Observations suggest that this is a very complicated and expensive procedure. It is clear that ploughed Renosterveld will not restore itself for many generations – if at all. Surveys in old lands have demonstrated that although much of the structure may come back (in terms of dominant shrubs), the diversity does not return and is unlikely to do so within our lifetime, or even that of our children’s children. This emphasises the importance of maintaining the natural veld that is still intact – it is certainly a more productive and cheaper option than trying to bring the veld back post-ploughing. However, because of the carbon crisis that we are in, a lot of research is currently focusing on the possibilities of using Renosterveld restoration as a means for carbon sequestration. This research is still in its infancy, but may reveal exciting options for alternative land-use on C-grade lands, which are no longer suitable for grain or fodder crops. From a biodiversity perspective, restoration will be most useful where it can assist with the creation of corridors which link Renosterveld fragments together and so therefore enable the conservation of natural processes. Ploughing of virgin land: what does the law say & why? 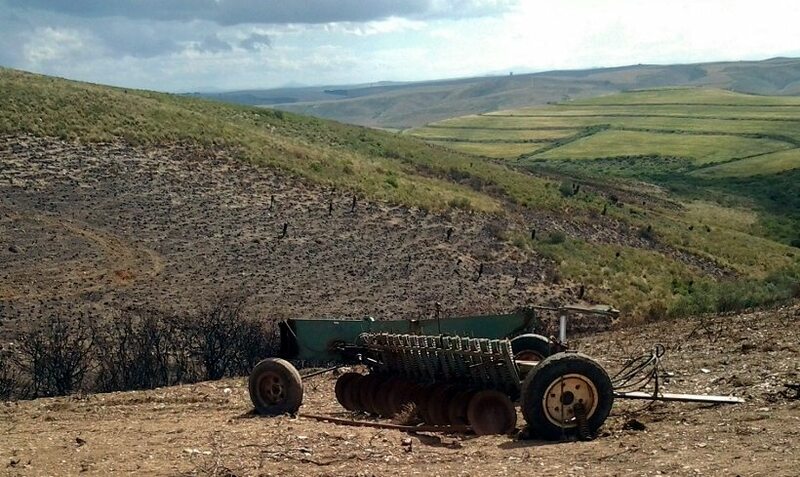 Unfortunately, illegal ploughing of virgin land remains a significant threat to Renosterveld and other threatened veld types. We would therefore like to highlight the laws dictating the terms on which virgin land may or may not be ploughed, as many landowners are not aware of these issues. These laws have not been put in place to make farming more difficult for landowners, as so many people incorrectly believe. They are there to protect our natural agricultural resources, in order to maintain healthy, living landscapes, where farming can continue successfully for many more generations. Healthy ecosystems are the basis for productive farms. Natural habitats and ecosystems provide Ecosystem Services, in the form of natural drainage (intact vegetation in wetlands and watercourses), pollination services, erosion control (intact vegetation assists with preventing erosion in gullies and on steep slopes), while natural grazing and shelter is provided by well-managed veld. Thus, one needs to consider what a landscape without this ‘free’ assistance from nature would be like and to ensure that farms are managed for the well-being of all habitats (cultivated and natural). Two laws are currently in place to control the cultivation of virgin soil & management of natural resources: NEMA (National Environmental Management Act) and CARA (Conservation of Agricultural Resources Act). Both clearly state that it is illegal to plough virgin land or land that has not been cultivated within the last 10 years without the necessary permit. It is a criminal offence to plough virgin land and is punishable by law (jail sentence and/or up to R5 million fine and a criminal record). For more information please download the document “Ploughing of Virgin Land – What the law says & why?“. NEMA states that before any listed development activities can be undertaken, an EIA (Environmental Impact Assessment) must be undertaken and an Environmental Authorisation obtained. The listed activity referring to cultivation of virgin land is defined as ‘The transformation or removal of indigenous vegetation of 3 hectares or more or of any size where the transformation or removal would occur within a Critically Endangered or an Endangered ecosystem listed in terms of section 52 of the National Environmental Management: Biodiversity Act, 2004 (Act No. 10 of 2004).’ This also includes i) transformation or removal of indigenous vegetation on land that was transformed more than 10 years ago, ii) any phased transformation or removal of indigenous vegetation, iii) removal or transformation of indigenous vegetation with, for example, a bulldozer or brushcutter to create firebreaks and iv) removal or transformation of indigenous vegetation to create roads or tracks. The authority responsible for implementing NEMA is DEA&DP (Department of Environmental Affairs and Development Planning). Regulation 2: That, except on authority of a written permission, no land user may cultivate any virgin soil. (Cultivation means any act by means of which the topsoil is disturbed mechanically, and virgin soil is land that has at no time during the preceding years been cultivated). Regulation 3: That, except on authority of a written permission, no land user may cultivate any land with a slope of more than 12%. Regulation 4 & 5: That, every land user must protect cultivate land effectively against water – and wind erosion. Regulation 6: That every land user must protect irrigated land effectively against water logging and salination. Regulation 7: That every land user must remove the vegetation in a water course to such an extent that it will not constitute an obstruction during a flood that will cause soil erosion. That no land user may utilize the vegetation in a vlei, marsh or water sponge or within the flood area of a water course (a water course means a natural flow path in which run-off water is concentrated and along which it is carried) in a manner that may cause the deterioration or damage to the natural agricultural resources. That, except on authority of written permission, no land user may drain or cultivate a vlei, marsh or water sponge. That no land may be cultivated within 10 m horizontally outside the flood area of a water course. Regulation 8: That no land user may divert run-off water from a water course to any other water course, without a written permission. That no land user may affect an obstruction that will disturb the natural flow pattern of run-off water or permit the creation of such an obstruction, unless there is sufficient protection against water erosion. Regulation 9: That every land user must protect the veld on his farm unit effectively against deterioration and destruction. Regulation 10 & 11: That the grazing capacity of the veld, expressed as a specified number of hectares per large stock unit, may not be exceeded, unless the veld is sufficiently protected against deterioration and destruction. Regulation 12: That, except on authority of a written permission, no land user may burn any veld, or utilize as grazing, any veld on his farm unit that has burned. Regulation 13: That every land user must effectively restore or reclaim the land on his farm unit on which excessive soil loss due to erosion occurs or has occurred. Regulation 14: That a land user must effectively restore and reclaim any disturbed or denuded land on his farm unit. The authority responsible for enforcing CARA is the National Department of Agriculture. Contact: Provincial offices, Directorate: Land Use & Soil Management, Durbanville: 021 9768136. Cultural services, such as spiritual and recreational benefits derived from the natural environment. These services are not unlimited and are increasingly threatened by human activities. It is important for us to remember that we depend on nature and natural processes for food production, healthy drinking water and therefore, our survival as human beings. Healthy ecosystems can equate to healthy farms, meaning that everybody benefits.